Time & Tide 10 was launched on the 11th October 2016 by Aidan J Herron. The latest in the Time & Tide series is now on sale in Skerries and online. – to read the report by Oona Roycroft please click here. 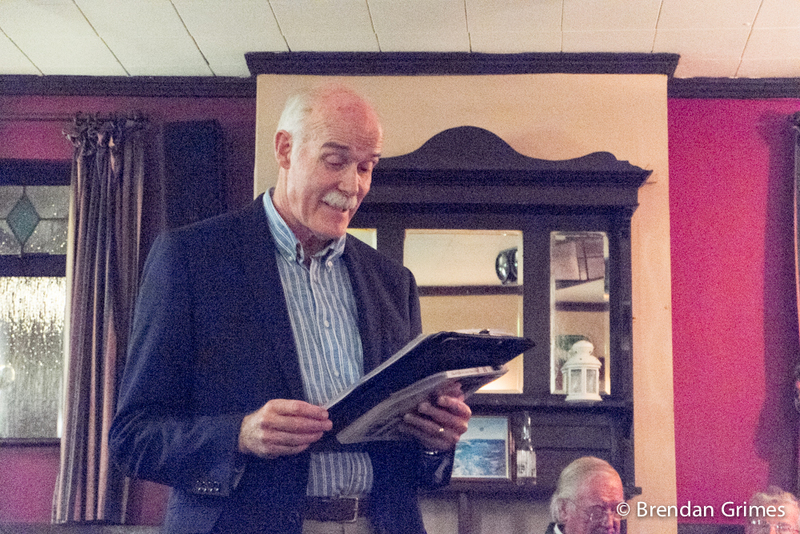 The Annual General Meeting of Skerries Historical Society was held on Tuesday 11th October 2016 in Keane’s The Bus Bar, Skerries, Co Dublin. Ordinary committee members: Marie Bashford Synnott, Geraldine Clarke, Pauline Hanlon, Norma MacMaster, Peter McNally and Brendan Morrissey. The outgoing committee was thanked for all its hard work keeping the society on track through the last year. Particular thanks were due to Stephanie who has stepped down after three years in the Chair only to take on the equally onerous task of Secretary, to Maree Baker and the publications subcommittee for overseeing the production of the latest Time and Tide volume (with especial thanks to Pat and the sadly missed Steven Hope – the book is a tribute to their hard work and vision) and to the exhibitions subcommittee for the excellent photographic exhibition of 1916 men and women now on permanent display in Skerries Mills. Further to last year’s discussion on the location of ordinary meetings, it was agreed that we should remain in The Bus Bar where we have always been made so welcome and where the new seating arrangement has allowed more of the audience to have a good view of the projector screen. The meeting agreed that representation should be made to Fingal Co Co regarding the Skerries Martello Tower – even if it is too expensive to completely renovate it and make it a useable space, something should be done to prevent further delapidations. Geraldine, as Fingal Heritage Network rep, agreed to raise this with Gerry Clabby. The meeting also agreed that it is important to record events happening in Skerries today to provide insight into 21st century life for future local historians. To that end the Chronicle (or ‘Red Book’) will be brought to each ordinary meeting so that members and visitors can write about any local event or happening that seems important to them on a day to day basis. Membership fee of €10 for the new membership year is now due. It can be paid at any ordinary meeting (second Tuesday of the month). Alternatively you can re-new your membership online. If you do not have a PayPal account you can pay by credit/debit card.